And guess what? We aren't just providing couples with an official marriage ceremony. 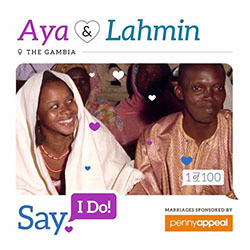 Penny Appeal planners ensure that these special days are tailored to each individual couple, to fulfil their religious obligation and create memories that will last a lifetime. Grant these couples the memories to last a lifetime! 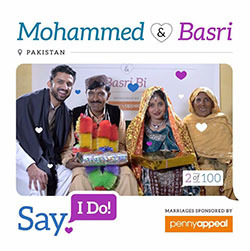 Basri grew up as an orphan before she married Mohammed. We are so happy we could help these couples find a life partner, a successful marriage and a happy life. Help more couples Say, I Do!